“This blog post is part of a paid SocialMoms and Giving Comfort blogging program. 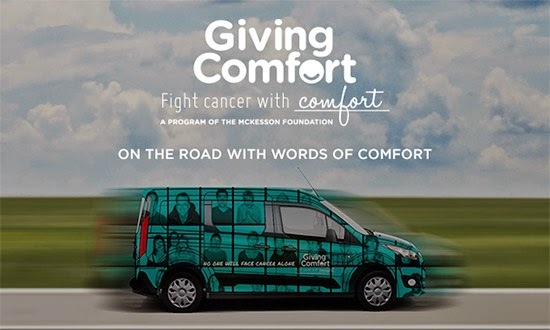 Giving Comfort is a nonprofit program of the McKesson Foundation. 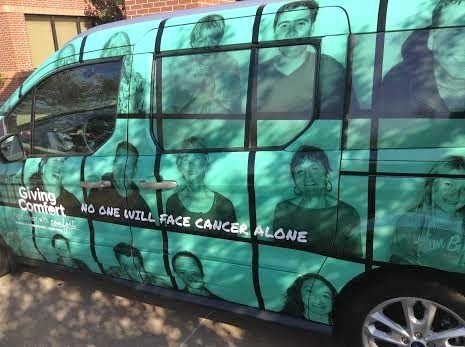 They made a stop here in in my town, Wichita Falls at the Texas Oncology center to share the message of comfort. From the time the decorated van arrived and "Comfy" popped out there were smiles all around! 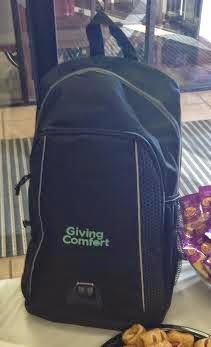 Giving comfort was here in Texas to spread the word about their program. 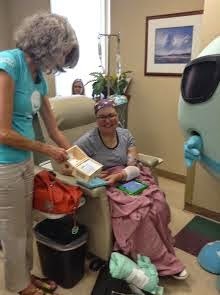 Giving Comfort give bags full of comfort supplies called kits to patients undergoing treatment for cancer to show them they are not fighting alone. Click HERE to go to the Giving Comfort website to learn more about the Comfort Kits. There are many different kits available. There are kits for men, women, kids and teenagers. Each one is geared to bring a little TLC when they need it the most. This is the woman's kit. It is filled with Fleece lap blanket, Sleep cap, Socks with grippers, Sugar free mints/hard candies, Herbal tea, Toiletry bag contains Burt's Bees Lip Balm, toothpaste, Extra soft toothbrush, Hand Sanitizer, Unscented lotion, Magazine voucher for 1 year free magazine, Sudoku puzzle book, Journal and pen. 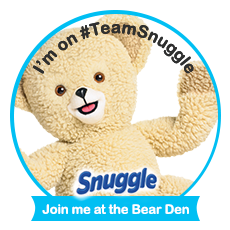 Please click here to purchase a kit for someone or click here to make a donation to a comfort kit. Let me introduce you to a fighter I met today. Her name is Jennifer Chewens she is from Wichita Falls. 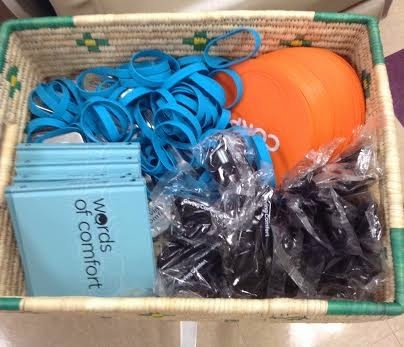 Jennifer received her Giving Comfort kit today. I really liked her kit because her kit included a small trunk that was decorated and was full of inspirational sayings inside! It was so darling! The messages were a simple as "keep fighting" and "I am praying for you". She stated that these kind words of comfort will help her get her thru the rough days of her treatment.She has been battling cancer for 2 years. While Giving Comfort was here they also passed out fans, mints, sunglasses and rubber bracelets to the patients during their treatments. 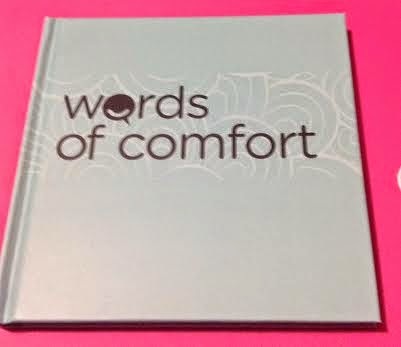 The Giving Comfort words of comfort tour made its stop to share this lovely book of comfort! Fight cancer with Words of Comfort and leave your message here. Click here to learn more about Giving Comfort. 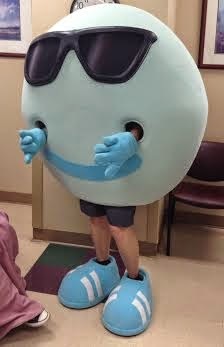 It want to say a special thank you to SocialMoms.com for introducing me to Giving Comfort and the Words of Comfort tour! It was an amazing experience!